My audio setup never seems complete, I am constantly searching for a new pair of headphones, microphones or even earphones which can allow for a better sounding experience, however this can start to get pricey, with this, Kitsound have tried creating a budget mined pair of headphones which aim to produce great sounding audio without the steep price tag, these are called the ‘Manhattans’. One of the main problems I have with these headphones is the build quality, everything seems flimsy, cheap or just doesn’t look good. Most other headphones I test would go through a bend test, however these just do not feel like they are up to the job. The headband feels like it is constructed with a very thin piece of material with little padding and therefore provides next to no comfort up top. Both earcups fold inwards to create a much more portable size for when you are on the go, however the hinges do not have the strength to stop themselves from folding even when not slightly pushed in. One other small error with the earcups is how stiff they are to adjust the size, there needs to be some friction to stop them from moving without a lot of force, however there is way too much friction between the metal part attached to the earcups and the hinge. Despite these headphones coming in at such a low price tag of just around £30, these all seem to be minor problems which could be fixed with a little bit more work. These issues could have been the result of cutbacks to make the Manhattans come in at a cheaper price tag, however even things such as quality control which costs nothing extra could be solved, my unit came with a small dot of ink on the left earcup. The build quality issues result in the colourful pair of Manhattans which try to be fashionable, only looking a lot cheaper. 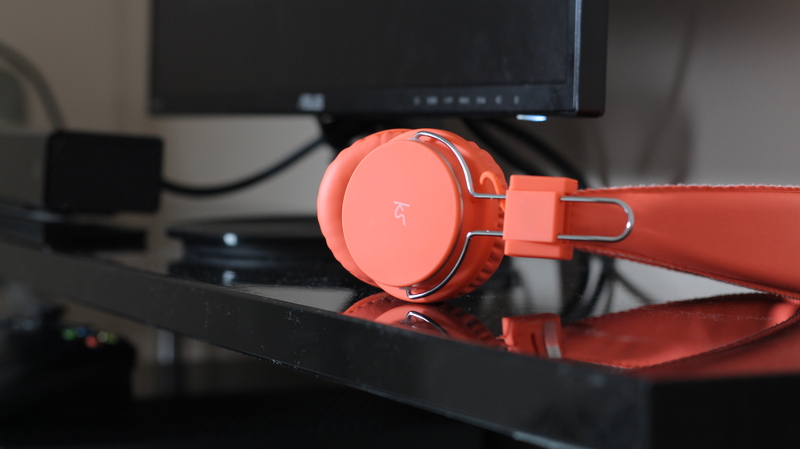 In my opinion I prefer my headphones to be in colours such as black or white, with the odd splash of subtle colour, however if the colour is your thing then Kitsound have you covered since these come in black, white, purple, green, pink and the orange pair which we have. 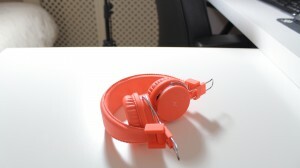 Having Bluetooth as a form of connectivity for headphones results in a in-built battery being required to allow for wireless connectivity, the battery inside lasted numerous hours for a long journey where music is the only thing to pass time, as well as charging taking a couple of hours via a micro-USB cable. For connecting the Manhattans you have two choices, wireless or wired. Starting off with wireless, you have the built-in Bluetooth which is very simple to setup with your device just through the settings menu and the simple Bluetooth labelled switch on the left earcup. Connecting them wired is just as easy, plug in both the micro-USB cable into the port on the left earcup and then the 3.5mm jack into your device. One small problem is the fact that wired connection requires a micro-USB to 3.5mm jack, rather than the double sided 3.5mm jack cable you would expect to see, this means that finding a new cable will be a bit harder than usual. Like most of the other products Kitsound sell, audio is priority and this definitely applies to the Manhattans. It seems as if the £30 you pay goes mostly towards the sound and this is what results in a fairly good amount of bass which is neither overpowering or under powering, as well as a decent amount of depth in the audio. 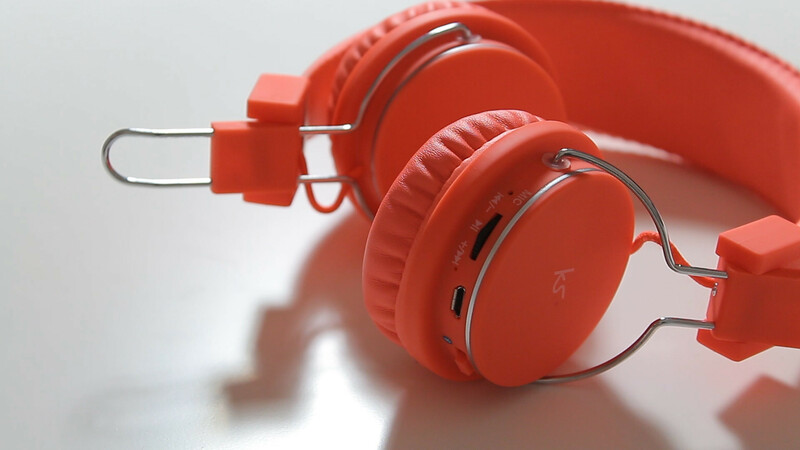 To summarise the Kitsound Manhattan Bluetooth headphones are aimed at consumers looking to listen to music on a budget and not much else, if this is all you plan to do they will definitely stand up to the job in terms of audio, however the build quality could result in a problem over time. noice imma cop one of these right now!